Business is moving faster than ever, technologies are changing daily and you are bombarded with information. The work you received today has a deadline of yesterday. Its time for more informative communication. Its time for the Flexographic Pre-Press Platemakers Association (FPPA). Its mission is to provide the communication, training, information and standards you need to remain successful and profitable. Membership is open to businesses who are involved in or supply to the flexographic industry. Levels of membership include platemakers and pre-press companies who are primarily manufacturers of flexographic printing plates and not associated with converting operations; associates, suppliers of products or services to flexographic pre-press platemakers; and affiliates, companies or converting operations engaged in flexographic pre-press or platemaking but not as the organizations primary business. FPPA also welcomes academic and trade press members. FPPA's purpose is to create, promote and enhance high standards within the flexographic pre-press platemaking industry, to provide leadership through vision and direction, to strengthen education at all levels and to further the best interests of the industry. FPPA provides training sessions on the latest technologies and issues that face your company. Educational programs are focused on CEOs, managers and employees. Equally important, FPPA will give you the tools to educate customers and suppliers to get you what you need when you need it. From the way we create artwork, to the way we make plates, to the way we communicate, technology is changing at a blinding pace. FPPA provides the equipment analysis and product information members need to ensure they are using this technology to its fullest advantage. Members receive a regular Tips & Trends bulletin with the latest information about industry technology. As part of its mission to provide members with the information they need, FPPA will conduct research into wages/benefits, market size and growth, sales expenses, insurance and other vital industry statistics to help companies better manage their operations. Standardization will help the industry run more efficiently and effectively. FPPA is pursuing standards for pre-press file formats, finished goods tolerances, communication, delivery, product manufacturing and several other areas critical to members businesses. 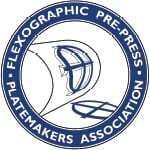 The Flexographic Pre-Press Platemakers Association (FPPA) seeks to create, promote and enhance high standards within the flexographic pre-press platemaking industry through leadership, vision, direction and education. FPPA provides networking benefits for its members. The experience of meeting with peers and sharing ideas, challenges and solutions is often the most valuable benefit of association membership. FPPA promotes high standards within the flexographic pre-press platemaking industry, providing leadership through vision and direction, as well as comprehensive education to advance the best interests of the industry.